MET eMBA creates record placement! Home > Campus News > MET eMBA creates record placement! 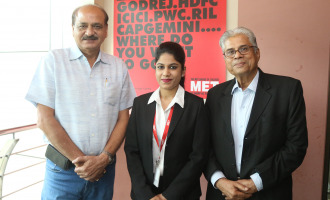 Ms. Shalini Singh, a student of MET eMBA (autonomous) Programme has been offered the highest annual salary package till date making a mark in the ongoing placement process. She has bagged a record offer of '9.75 Lakh + Incentives' in the campus selection from ‘Watch your Health India Pvt. Ltd.’ MET wishes Ms. Shalini Singh all the best for her future endeavours!